As compared to other techniques, the use of polymer CTech-LLC® composites repair and retrofit systems provide several unique advantages. 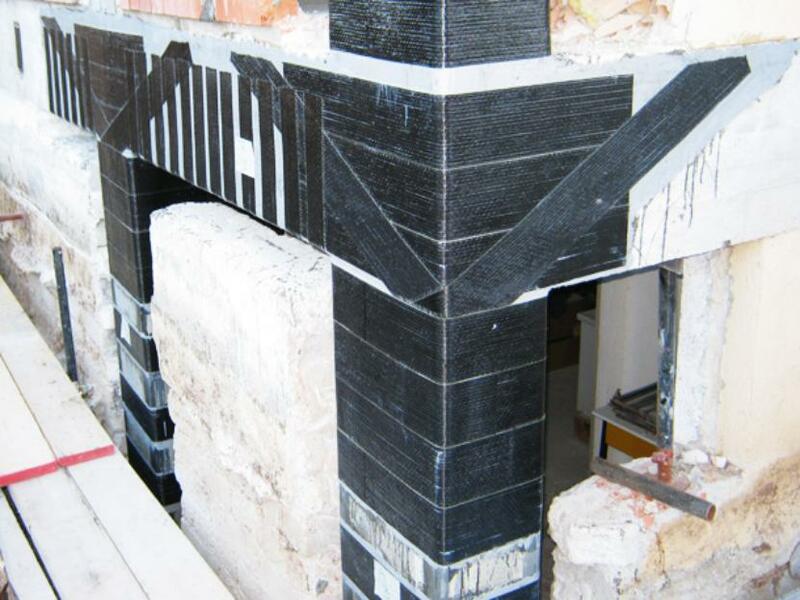 The key advantage of composites in these applications is its tailorability, which enables the engineer to decouple stiffness and strength (stiffer columns would attract more forces during the earthquake which are not included in the original design). In the last decade or so, the use of fiber reinforced polymer (FRP) in repair and rehabilitation of different reinforced concrete members has been widely accepted by the structural engineering community. Some of the early successful application of FRP composites was in the repair and retrofit of reinforced concrete highway bridge columns that started in California and now is considered to be standard accepted procedures by different departments of transportation in USA and other countries. This application was extended to buildings and other constructed facilities where hundreds or may be thousands of repair and rehabilitation projects have been successfully executed. The use of these materials was shown to be also effective in repair and rehabilitation of reinforced concrete girders, slabs, shear walls as well as masonry wall structures.